Have an event for your business? Jan. 23, 2019 (ATCHISON, Kansas): Union State Bank is pleased to invite business and farm owners to a unique, one-time event entitled, “The Positives of Passing It On,” presented by Jolene Brown, speaker and self-proclaimed champion for people of agriculture. The conference takes place Tuesday, February 12, from 4:00 to 6:30 p.m., with doors opening at 3:45. 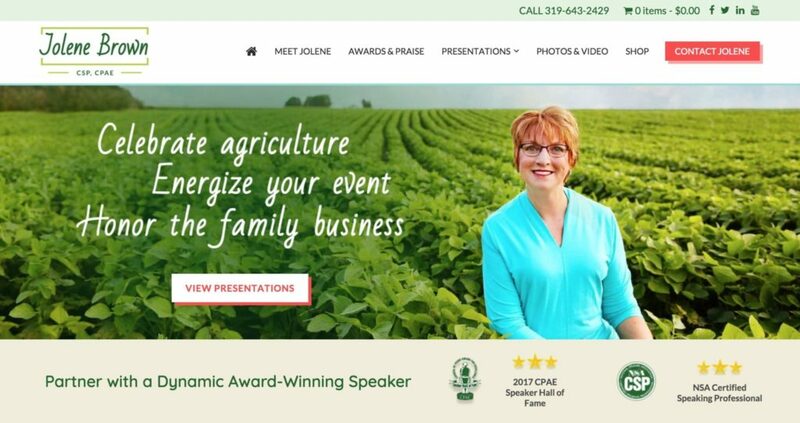 Jolene Brown is often called “The Dr. Phil of Agriculture,” and known for her direct, respectful and generous solutions to family business challenges. Her presentation mixes laughter and fun with valuable education. This interactive event encourages family business owners in their efforts to create a legacy through specific and practical action steps. Attendees will learn why it’s important to honor the family in how they run their business, identify the right family members for each key position and how to create an estate plan that honors the original vision of the family business. The presentation is enlivened through personal stories that demonstrate how to structure a business correctly so that it is not only productive and profitable, but also provides for future generations to continue. Space for the special event is limited; those interested are encouraged to register soon. To register call Erin at 913-367-2400 or e-mail at ekane@mybankusb.com. You may also register by contacting your local Union State Bank branch by Feb 1st. Union State Bank is a full-service financial institution, building a strong, thriving community through the development of local resources, farms and businesses. From personal and business banking to investments, Union State Bank operates seven branches across the Northeast Kansas and Northwest Missouri region.